Western swing is all things Texas, uniquely American, and loved the world-over. Nine-timeGrammy winners Ray Benson & Asleep At The Wheel have been the genre'schief practitioners, conspirators, and caretakers for over forty years, carrying its timelesstradition well into the 21st century. Now with this collection, Benson brings together notonly a legendary cast of Texas music contemporaries but also a new generation ofAmericana artists inspired by the Lone Star State's favorite son, Bob Wills. 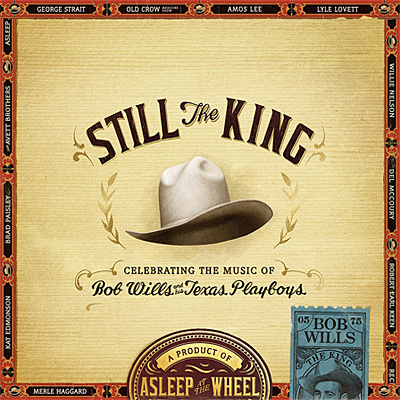 The resultherein is 22 compelling reasons why Bob Wills is "Still The King."